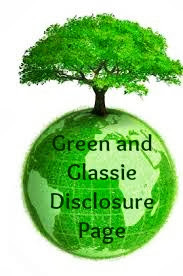 Green and Glassie: Check out Rodale U ~ Are you ready for a healthy challenge? I am!!! Check out Rodale U ~ Are you ready for a healthy challenge? I am!!! I found a great way to support my Healthy Lifestyle. Rodale is offering very interesting and rewarding Challenges. Challenges to encourage a healthy lifestyle. 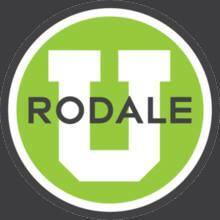 Rodale U is a online site dedicated to making positive change! I have decided to take 5 Challenges to enhance my life. I will be starting a new challenge each week for the next 5 weeks. I now know what INTUITIVE EATING is? I have taken 2 Lessons and I must say it is making a difference. I am noticing what I am eating and why. In lesson one I learned how to really taste and think about what I eat. It is amazing what you will learn about food. With each challenge there is a Discussion Board that they encouraged you to join. I have joined and am looking forward to sharing successes and hardships as I travel down the road to a healthier lifestyle. If you are like me and are looking for support to make changes in your life - check out Rodale U challenges - easy to sign up to start you on your journey to a new you. Below is the list of the other four challenges I will be taking. Next week I will be starting the 21 Day Meditation Challenge - check it out online and join me in a fun rewarding adventure. Each week I will be sharing my new challenge. The 21-Day #CookingStreak: Eat Great, Lose Weight! The first challenge is $9.99 and each additional challenge is just $6 more. If you’re feeling really ambitious, you can take on 5+ challenges for just $30. Use the code RODALEFRIENDS for a 20% discount! Click on their Website to check out the challenges. Will have to check them out. Interesting that they are putting them together as challenges, instead of just 'things to do'. Probably would motivate me better. I'll have to check it out, I'm trying to overhaul my eating habits right now. It's been particularly hard because I'm pregnant and I have the weirdest food issues! This sounds really interesting and I have to check them out. I definitely need to pay better attention to what I'm eating and why! I'm sure it would help me cut out some of the junk. I think that I would want to start with the 21 day walk a little lose a lot challenge then do the take control of your eating challenge. Though I have to admit over these past few weeks it would be scary if I had to write down everything I've been eating over the holidays. I have never heard of intuitive eating, but I bet it would really work. I have decided to quit saying diet and focus on eating better and getting more exercise. This looks like something that I need to really check out. I live having them as challenges, rather than as something you just have to check off the to-do list. I just started working out and go with a friend - helps us keep each other going!